BBC1’s grimy, gritty drama series Taboo starring Tom Hardy will be back for a second series, the BBC have confirmed. The period drama written by Steven Knight, the creator of Peaky Blinders, will officially return with eight new episodes to BBC1 after star Hardy said that there was more story to tell. Although there is currently no release date this is great news for fans of the dark series and the devil Delaney. Filming is however expected to start in early 2018. Writer Steven Knight gave a hint of what was to come by saying that he would be taking James Delaney to the new world, following the series one ending which saw Hardy’s character sail off into the sunset. 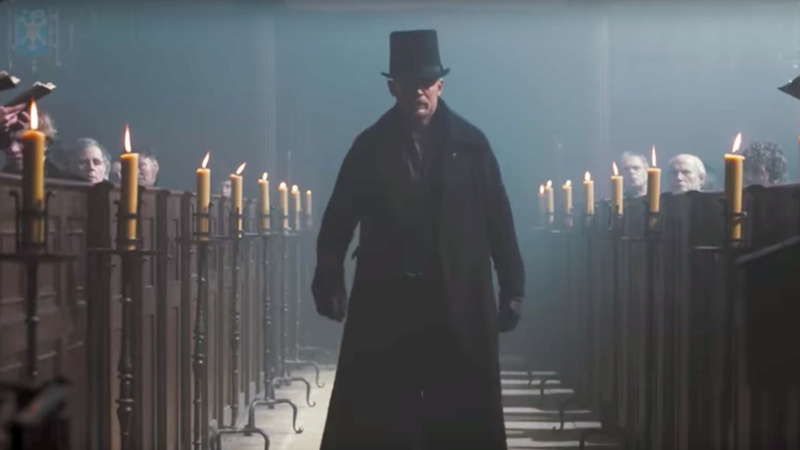 Director Ridley Scott, who was an executive producer for Taboo, added, “We’re thrilled people want to know what happens next and that the BBC and FX are up for more adventures with the devil Delaney and the league of the damned." The BBC said that the series has earned its recommission in part because of its success on BBC iPlayer, where it has earned a growing audience following its unusual Saturday night slot. Episode one earned the BBC its third highest iPlayer audience ever, just behind Sherlock. “Launching in a new Saturday night slot on BBC1 provided us with an opportunity to take risks and showcase distinctive drama; and the growing talkability of Taboo has engaged younger audiences seeing record numbers coming to iPlayer, with the availability of the box set maximising audiences even further,” said director of BBC content Charlotte Moore. As huge fans we agree and a second series can’t come soon enough. And for those who missed the first series, check it out here and this cool trailer. Enjoy.